This activity is for OWL member families only, and RSVPs and prepayment are required. Please read through the entire announcement for important details. After the tour if you'd like to eat lunch, please pack a sack lunch for your family. There is an area for us to use. 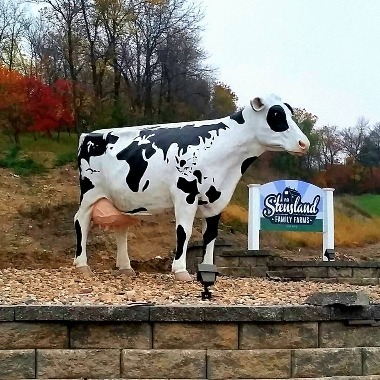 Link here for more information about the Stensland Family Farm. Admission for this tour is $5 per person. There is no charge for children age 2 or younger. There is a limit of 60 people who may attend (babies and toddlers included). Prepayment is required to attend -- please use the PayPal payment link below and select the number of people (over the age of 2) who will be attending. If your PayPal username is different than your actual name, please email Becky@owlsiouxfalls.org to let her know how your name will appear. After making your payment, please go to the event page on BigTent to RSVP - link here. RSVPs will be taken until 10/11/17. ​If unable to pay via PayPal, please email Becky@owlsiouxfalls.org to make alternate arrangements.